Crouse-Hinds Liquidator™ Non-insulated liquid-tight 45-degree connector of trade size 4-inches, is ideal for machine tool manufacturers, electric power generating plants, automobile manufacturing facilities, aerospace industries, food processing plants, dairies, chemical and petrochemical plants. 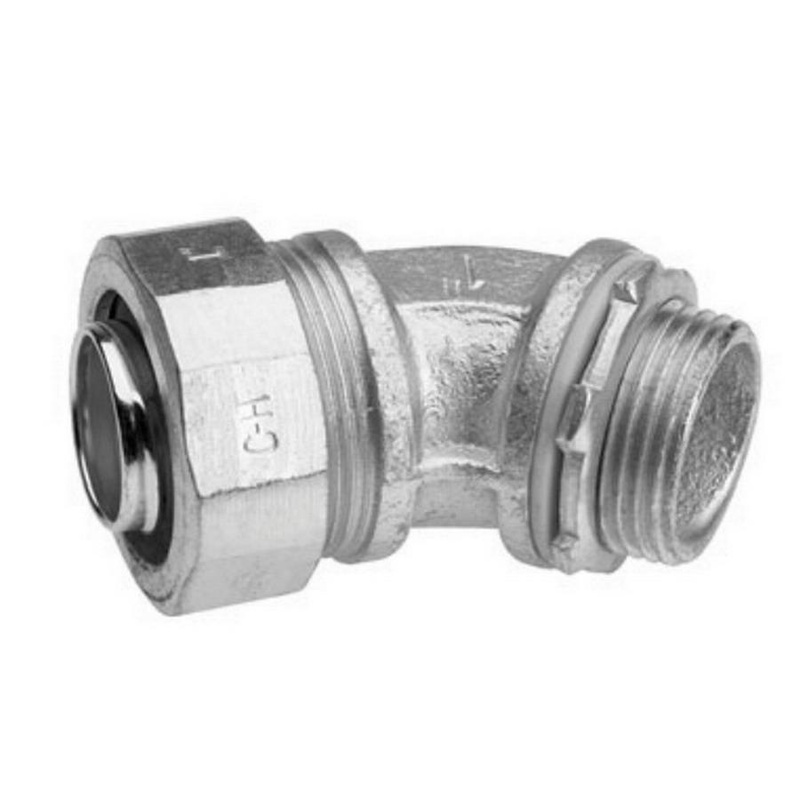 This connector in zinc-electro-plated finish, features malleable iron construction. It measures 5.75-Inch x 11.063-Inch. Connector of thread length 1.25-inches, accommodates conductor of size 3/0 - 6-AWG. Hex surfaces on gland nut and body ensure easy wrenching, providing fast and tight installation. Connector comes with locknut, sealing ring and thermoplastic elastomer sealing gasket that effectively seals out water, oil, dust and dirt. Reusable, long ferrule of the connector prevents pull out and tight bend conduit pop-out. It is suitable for use with flexible metallic conduit. This liquid-tight/rain-tight/oil-tight connector offers protection and long life in wet, dusty as well as corrosive environments. Connector is UL and cUL listed.